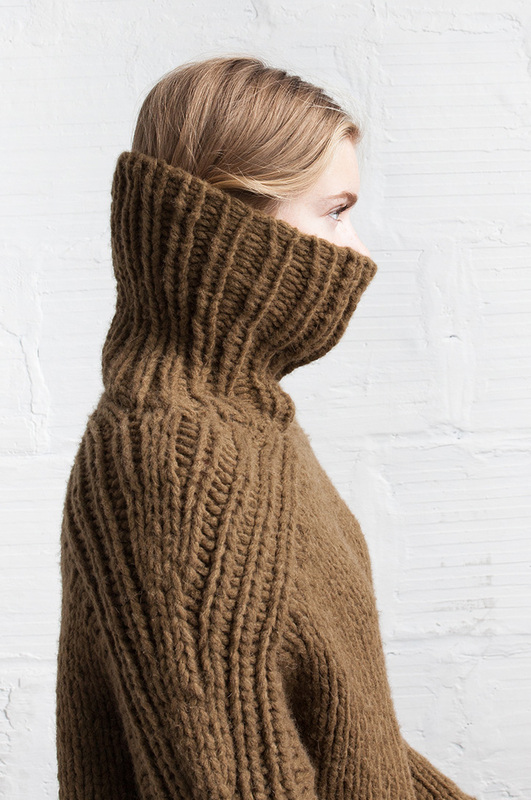 Innovative modular shaping and a modern aesthetic come together in this snuggly pullover. 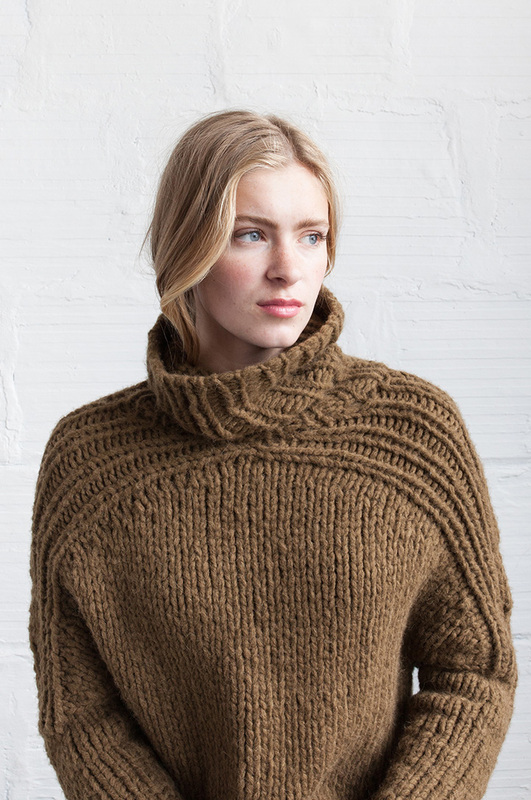 Knit seamlessly to avoid bulk, it’s unique yoke is articulated with the use of short rows. Both long and short sleeve instructions are also included for a more custom look.